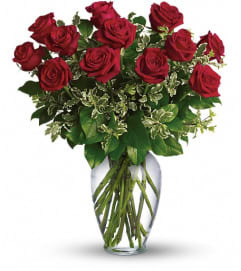 So sweet, so pretty, so perfect for that special someone in your life. 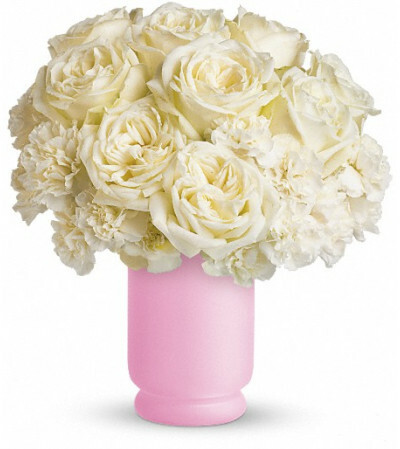 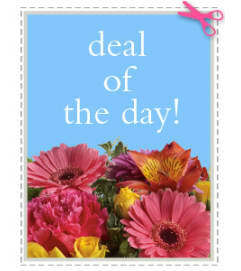 She'll love the snowy white roses and carnations, all beautifully arranged in the classic frosted pink hurricane vase. The stunning all-white bouquet includes white roses, white carnations and white miniature carnations accented with fresh greenery. 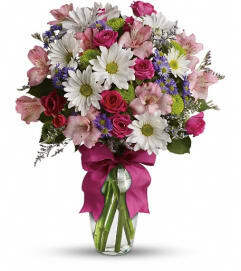 Delivered in a high-quality frosted pink hurricane vase.